Barakah is an often misunderstood term that many misconstrue to mean something other than what it is. Some go beyond the boundaries of correct understanding and say its kufr or shirk. Well here would like explain what barakah is and what it is not because we are both misunderstanding each other. This inevitability leads to argumentation. Linguistically barakah means to have blessing or even to kneel down (Hans wehr p.54). When someone is over whelmed by a blessing they often kneel down. Look at the emotional game of football and you often see many people score goals and knell down. But do they know what to actually do? A few Muslim footballers make sujud al-sukr/prostration of gratefulness after scoring. Barakah is when something has increased blessings because it was in possession of a special person. It's in the Quran bruv! This is part of the supplication of the Nuh (upon him peace). There is quite a lot of discussion to where the ark landed, Iraq or Turkey are the possible places and maybe others. Below the response of when a prophet asked for blessings it was given to him by Allah (the Exalted). اهبط بسلام منّا وبركات عليك وعلى اُمم ممّن معك. “Come down with peace from Us, blessing/barakah upon you and upon the nations with you.” (Quran: Hud 11:48). Allah (the Exalted) addressed the Prophet Nuh (upon him peace) telling to come down with blessings from Him. Blessings here are plural and this was when the water receded after the flood. وجعلني مباركاً أين ما كنت وأوصاني بالصلاة والزكاة. The Prophet Isa/Jesus (upon him peace) is making this request to Allah (the Exalted). Therefore, this gives us the proof that the prophets are blessed and can be blessed. Of course the Prophets are free from minor and major sin. Allah (the Exalted) blessed the Prophet Ibrahim and Ishaq (upon them both peace). This further proves our last point. The Prophets are blessed people and so they should be revered as such. There are two opinions on this verse. One that it is referring to the blessings upon the family of the house of Ibrahim (upon him peace) and two, this is about the family of the Prophet (may Allah bestow peace and blessings upon him). The first opinion is the strongest but in any case the Ahl Al-Bayt attain the blessings directly or indirectly because they are from the same linage. This is in reference to the Ka’aba which was the first house built for the worship of one God. All the prophets made pilgrimage there. It is called Bekkah in the Quran for three possible reasons. One that Mekkah was the place and Bakkah was the part in which the Ka’aba is in. Or Bekkah was the place mentioned in the bible then removed. Or it was called bekkah because people went there and wept there. So we have gone from a person or people being blessed and now we affirm that places can be blessed. So why is the Ka’aba blessed because two Prophets rebuild it after it was left previously. It was originally built by Adam (upon him peace) (according to weak hadith) and rebuilt by Ibrahim and Ishaq (upon them both peace). This is referring to the hills that are make the land on the earth firm. According to Imam Tabari the blessings in it are the trees. This verse is in reference to the masjid of Al-Aqsa and its surrounding areas which Allah (the Exalted) has blessed. The area is Palestine and its surrounding areas. Allah (the Exalted) rescued Lut (upon him peace) from a people who were openly transgressing the laws of Allah (the Exalted). They were destroyed and Lut (upon him peace) was saved and went to a blessed land. According to Imam Al-Qurtabi the blessed land is Iraq and Sham. Sham meaning parts of Palestine, Syria, Jordan and Iraq. Imam Al-Qurtabi states it is a land in between Yemen and Syria. The village is Palestine, Syria and Jordon. So what now of the hair of the blessed being of the Prophet (may Allah bestow peace and blessings upon him) should not that be blessed too? Yes of course! This backs up the previous verse. It can also be interpreted that the descend of the book is a blessing or the book is blessed. In reference to the Quran, when it is read blessing descend upon the reader. Affirming what we spoke of before. Here the olive tree is referred to being blessed. So this indicated that everyday objects can be blessed to because Allah (the Exalted) has deemed them such. This is when Musa (upon him peace) went to see the fire in the distance and the blessed tree was caused to speak by Allah (the Exalted). Here water is described as being blessed. The water that falls on the crops or in reservoirs is the most beneficial water. Referring again to the Quran being sent on a blessed night. We have proved from the Quran that people, places, water, the Quran and other objects can be blessed. These blessings are from Allah (the Exalted) and its because of the useage of an item did it become blessed. Like the blessings that one attains visiting Mekkah or touching a hair of the Prophet (may Allah bestow peace and blessings upon him). 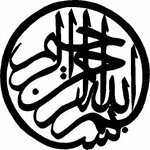 The word barakah is mentioned in the Quran as many as eighteen times or maybe even more that we have not been able to find. It would only be shirk/polytheism if someone thought that the objects were idols that they worshipped. Instead they have items that are blessed because of the original owners of the objects. So we touch what those who Allah blessed touched. Like the Prophets, Awliyah and scholars etc. We love to touch them because of our love for them and nothing else. This is Sunnah and a proven practice in Islam. When the masjid in Mekkah was cleansed from the idols that were around it a picture of the Prophet Ibrahim (upon him peace) was found and this was taken and kept. Only those who openly reject the Quran and hadith refuse this. As for the rest of us we accept this as a proven practice. We hope this has opened our eyes to this evidently plain fact seeking barakah is normal!